Screaming Bee announces the release of Voice Again. Slow down audio recordings without changing the pitch. 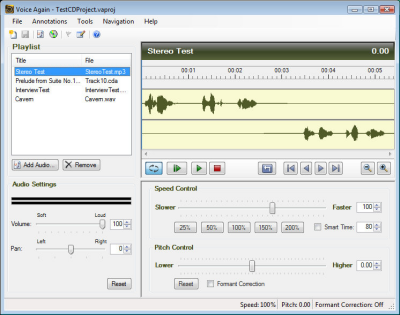 Optimized for voice, the new software is designed for analysis and transcriptions of dictations and interviews. The high-quality algorithms maintains vocal clarity at variety of speeds. The annotation feature allows you to bookmark important parts of a recording.